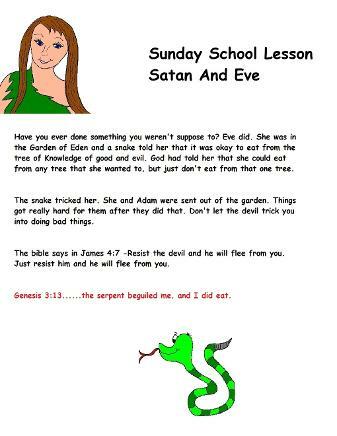 Just print out the lesson plan down below and read this off to the kids. 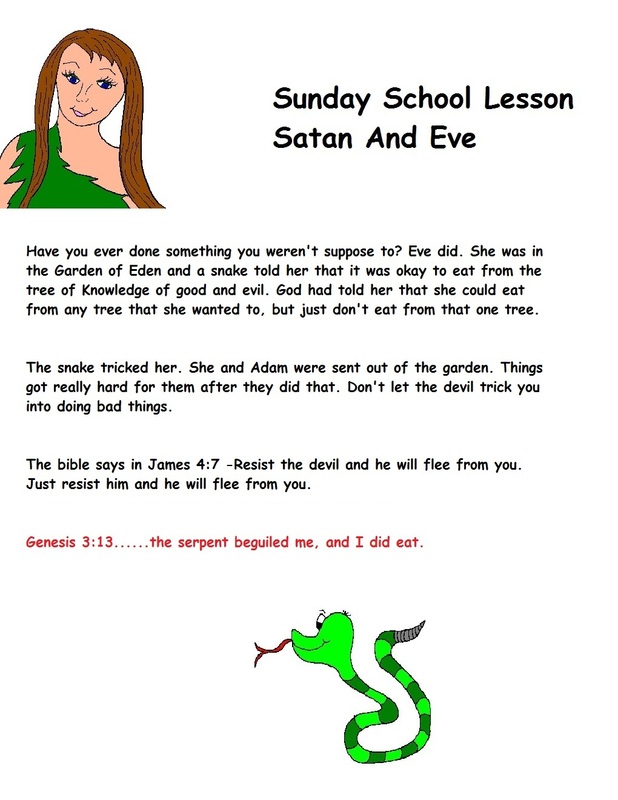 This is targeted for preschool kids in Children's Church. 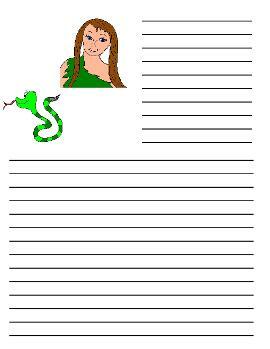 Pick out what you need down below and print it off. 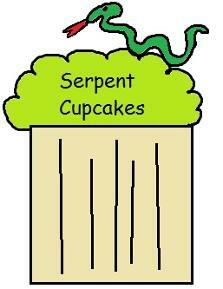 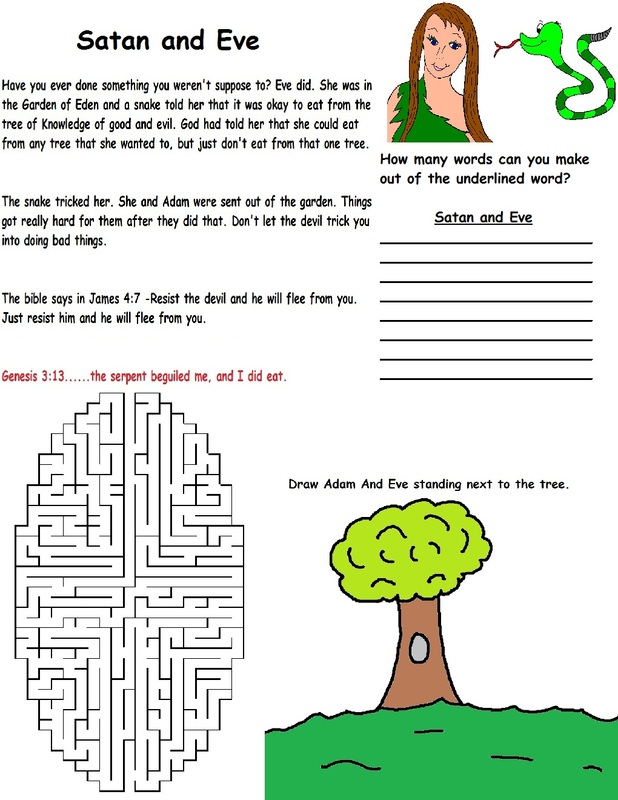 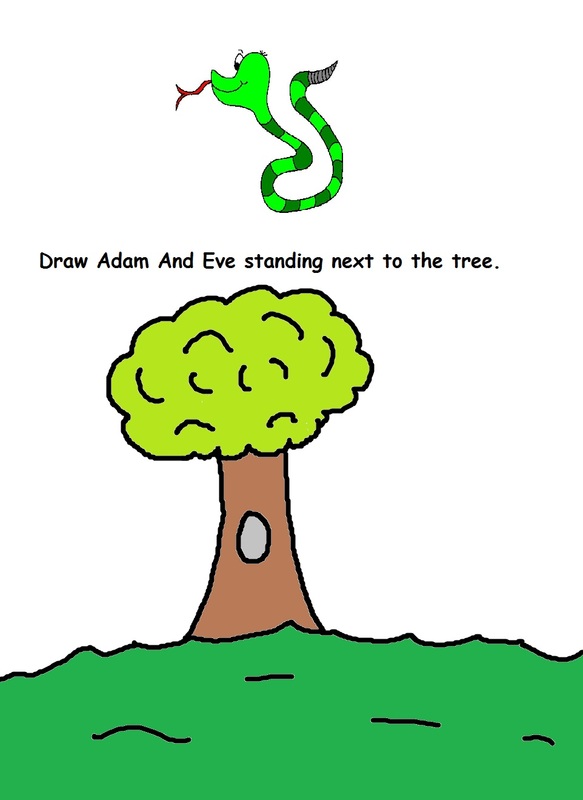 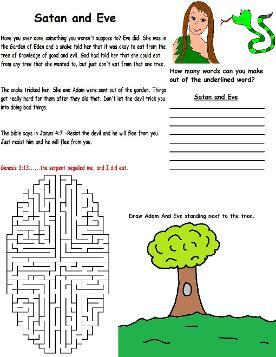 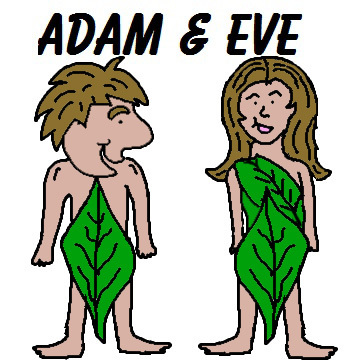 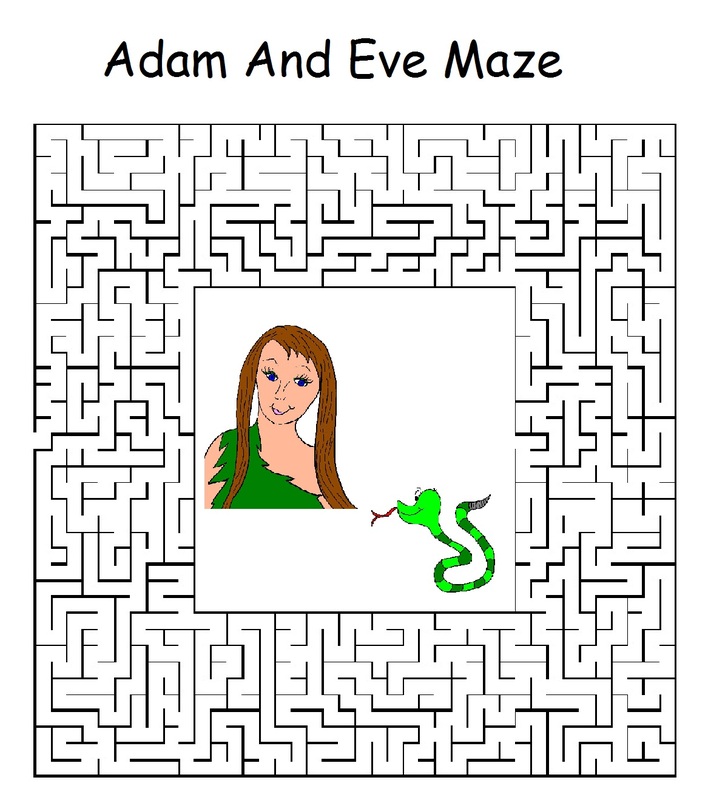 "Adam and Eve Sunday School Lesson"
Adam and Eve "Satan And Eve"
Copy and Paste onto lessons. 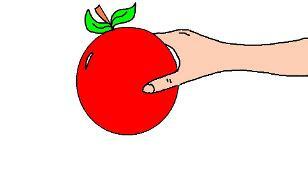 Personal use only.